Digital Education or Digital Learning is the revolutionary and visionary solution for education that in plenty of ways serves to build the competency levels of every individual. E-learning offers sustainable solutions for planning and getting a career. It offers lots of scopes to choose from, be it a job in the office, at big industries or on-site. This is the reason most of the schools like Ecole Globale have shifted to Digital Education while many are going to shift. Digital learning showed its face in the 90s in developed economies and begun penetrating gradually with device manufacturers mushrooming early in developed countries like the USA. Additionally, the USA and other developed nations have started realizing the cost advantages of going digital as well as they are acting with an eye on the future. “More professors are selling their lectures and notes to digital schools or campuses” According to research by Harvard University. Digital Education is the remedy for this anathema of education worldwide. It is, in particular, a blessing for developing nations which chronically suffer from ailments of access and affordability. Some digital tools for digital classrooms that can help you create your own digital classroom are Learn Boost, Moodle (Modular Object-Oriented Dynamic Learning Environment), Class Dojo, Pixton, and Cacoo. What matter is that students learn, and and we have better chances of engaging and getting through to students by communicating with them through a medium that they are familiar with. These days, the success of a technology is rest in digital education where individuals used to benefit a lot. With digitalized education, you can learn all the things in the world from your place. For example- You don’t need to go for space research to see the things as a video log is adequate to make your study from your place. You can browse and read all the things in your home with the help of the Internet. In addition to this, the Internet is the big evolution of human’s race where one can earn everything from his or her own place and figured out things that occur in every corner of the world. 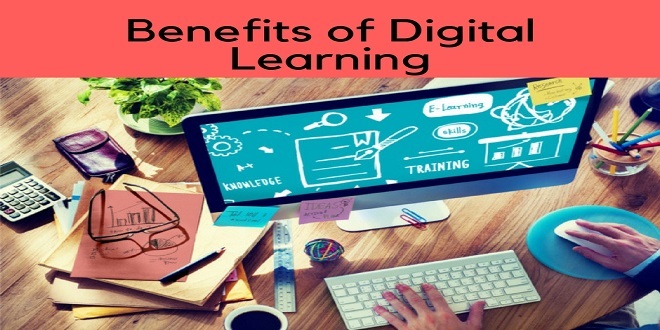 Some benefits of digital education include it helps boost interest in learning, helps convey and present concepts and ideas more accurately and effectively. Apart from this, it helped avoid the one-way type of communication in classrooms and students, no longer, have to sit in classrooms and listen to long monologue lectures delivered by their professors and teachers. Other advantages are easy to assess and track student’s progress, improves student’s analytical skills, reduces the need to buy and maintain lecture notes and books in schools and no boundaries to learning as takes the students out from the four walls of their classroom. This is the reason that a large number of boarding schools in Dehradun adopting Digital Education. Adoption of advanced technology as a method of teaching has a few disadvantages as well. For example- Books and reading habits are disappearing, Teachers and other school staffs need training to handle it, not easy to maintain, affects the ability to communicate and a bit expensive. Previous Previous post: Key Factor Responsible For Poor Women Literacy Rate In India? Next Next post: Are Boarding Schools better than Day Schools?